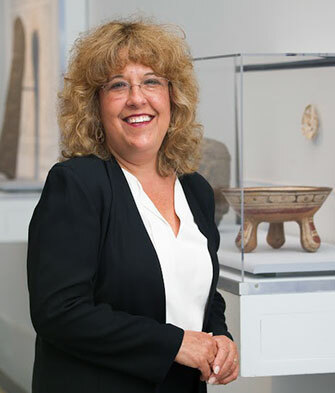 Nancy Rosoff joined the Brooklyn Museum in 2001, and is responsible for our pre-Columbian and Native American art collections, consisting of some 35,000 objects. She was project director of a reinstallation of the permanent collections in the Hall of the Americas and co-curated of the exhibition Tipi: Heritage of the Great Plains (2011). Prior to joining the Brooklyn Museum, she was Assistant Director for Museum Operations and Collections Manager at the New-York Historical Society and an Associate Curator at the National Museum of the American Indian, Smithsonian Institution. A graduate of Connecticut College in New London, Rosoff is the recipient of an M.A. in Anthropology from the University of California, Los Angeles.